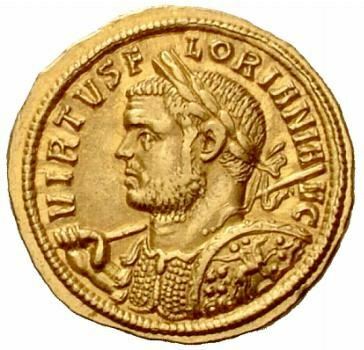 Marcus Annius Florianus Augustus was Roman Emperor for a few months in 276. He was reportedly a maternal half-brother to the Emperor Tacitus - and as the appointed Praetorian Prefect in Tacitus's army in his campaign against the Goths, he was chosen by the army in the West to succeed Tacitus in 276, without the consensus of the Roman Senate. The army in the East elected Probus emperor, and the two rival emperors met in battle in Cilicia. Florianus had the larger army, but Probus was a more experienced general and likely secured a small victory. Florian was then assassinated by his own troops near Tarsus once their confidence was lost. He died in September 276, having been emperor for only eighty-eight days.